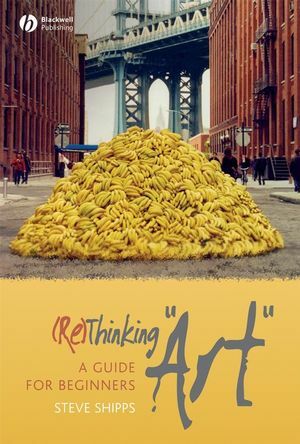 (Re)Thinking "Art": A Guide for Beginners is a primer that considers the term “art,” what it means and why it matters. Rather than being about any particular sort of art —visual or otherwise— the book addresses the idea of “art" in all, in all its messy complexity, and offers meaningful access to the vast array of human products to which it refers. Steve Shipps is Associate Professor in the Department of Visual and Media Studies at Emerson College. He is an arts educator concerned primarily with the nature and history of "art" as a Western cultural institution. An award-winning teacher, he has been a Fellow of the National Endowment for the Humanities and of the Getty Center for Education in the Arts. Introduction: What’s The Big Idea?. 2. The History of 'Art'. 3. The 'History of Art'. 8. Or, Maybe . ..